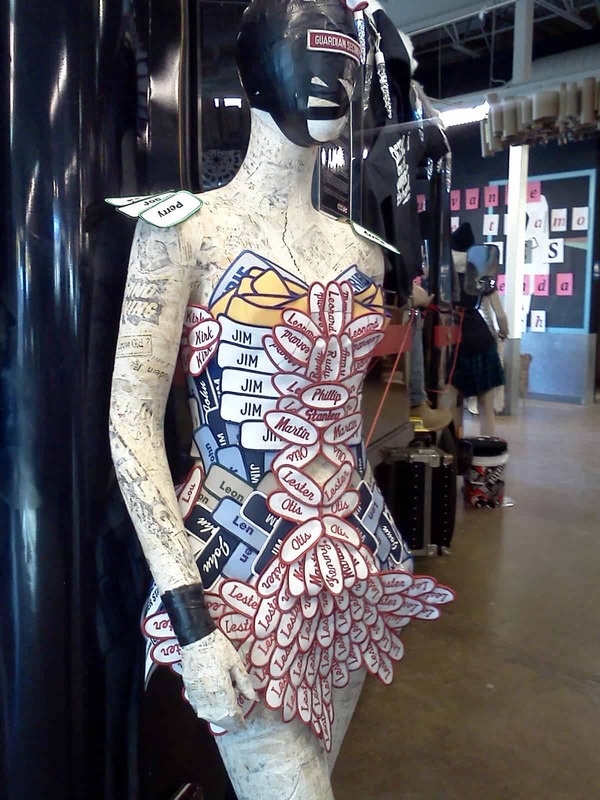 If you’re looking for a way to buy unique items and support local economy and art, The Rust Belt Market in downtown Ferndale is the place to go. The market is referred to as an “offline Etsy,” and rightfully so; both the online website and its in-person counterpart sell anything from original artwork and vintage clothing to all natural dog treats and locally made “foodie sauce.” Located at 22801 Woodward in what the website calls “a former corporate big box,” the market provides a year-round experience by existing indoors. The market is open Saturdays and Sundays from 11 a.m. to 7 p.m., offering a wonderful weekend activity for shoppers and flexibility for vendors who may work other jobs during the week. Many of the vendors have online shops as well, but The Rust Belt Market provides a more interpersonal experience where customers can have their questions answered without sending an e-mail and see the items in person before purchasing. At the center of the 15,000 sq. feet building that the market calls home, a small stage is dedicated to performers of the live music every weekend. The vendors rotate throughout the year which helps create a new experience each time you go. 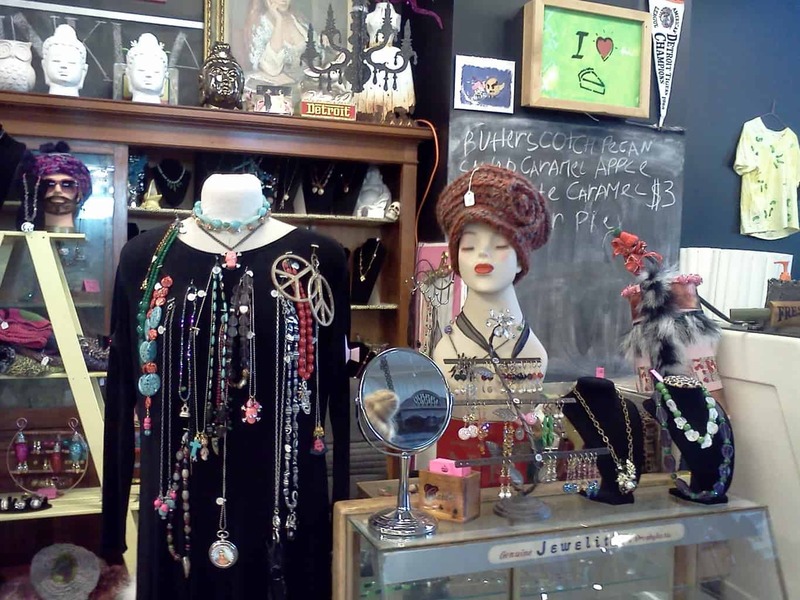 As a lover of thrift shops, I was pleased to see that much of the vintage clothing and accessories were not extremely marked up, as they often are at individual vintage boutiques. The Rust Belt Market seems to provide the opportunity for vendors to sell their items at a fair price by bringing them together and renting out small spaces, rather than an entire store. 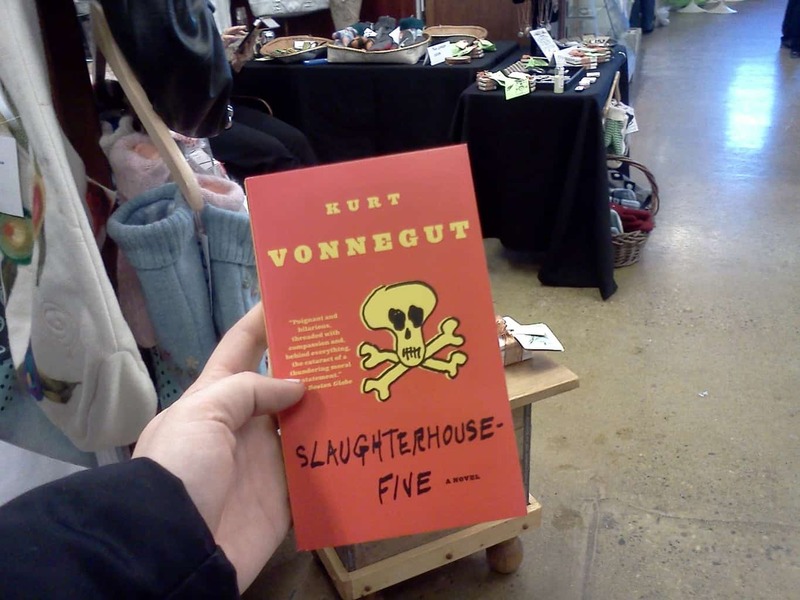 While visiting on a Saturday in February, we were approached by a woman handing out free copies of Kurt Vonnegut’s Slaughterhouse Five, as a part of the Ferndale Reads program with the Ferndale Public Library. A pleasant surprise, since it is on my “To Read” list. Apparently we had just missed a reading flash mob. If you’re in the area or feel like making a trip, I suggest checking out The Rust Belt Market and the rest of Ferndale. Leaving the market, we trickled into a few surrounding shops, each with their own charm. The real jewel is The Rust Belt Market though, where my friend kept exclaiming as we browsed, “I can’t believe I’ve never heard about this!” Well now you have. One of my favorite things about living in Michigan is the slogans we come up with for our wonderfully unique state. Pure Michigan, Say Yes to Michigan, Love for the Glove, Smitten with the Mitten; I could go on for days. Not to mention the camaraderie us Michiganders (Michiganians?) have for one another every time we survive another winter. Tagged Ferndale, local art, local goods, Rust Belt, vintage.